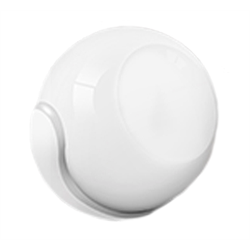 The Fibaro Zwave multi-sensor detects movement, light levels and temperature in one very compact, beautifully designed package. At only 1 3/4" (44.5 mm) in diameter it's one of the smallest and most powerful detectors available. It can be wall or ceiling mounted, or placed on a shelf or stand. The motion sensor's unique LED indicator can blink various colours when triggered to indicate motion sensed as well as room temperature ranges. This coloured indicator has many adjustable settings and may also be turned off completely in order to make it more discrete. Additional advanced adjustments available include motion sensitivity, motion blind time after detection, tamper sensitivity, reporting frequency, tamper reporting. 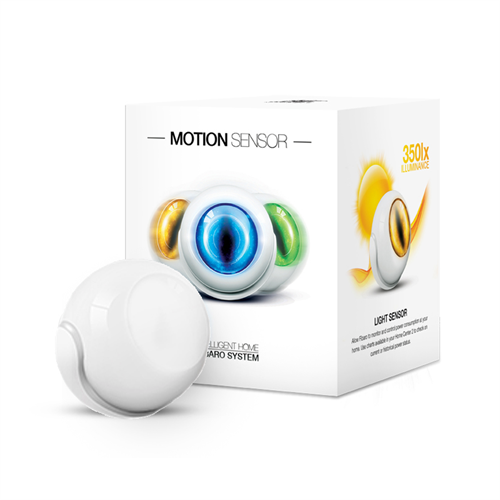 The Fibaro Zwave motion sensor sees wider and further than most other sensors and is more sensitive to small motion events. Motion sensitivity can be fine tuned using several settings including sensitivity, pulse count, motion window. Note: FGMS-001 works with most automation controllers including Fibaro Home Center, Home Center Lite, Vera Edge, Vera Plus, SmartThings, Homeseer/Hometroller, Zipato. At this time FGMS-001 does NOT work with the Wink Hub. 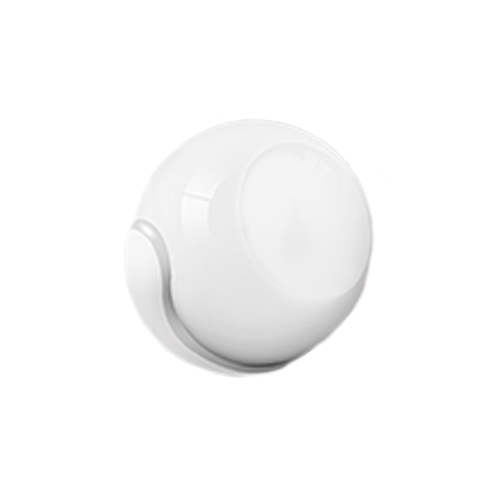 This is the Zwave version, NOT the bluetooth Homekit version.